The 1940s marked the advent of women on the political scene. Since the end of the nineteenth century, only women of age and taxpaying widows had the right to vote. In 1902, city council even tried to deny that right to 4804 women tenants. As a result of a petition filed by Marie Lacoste Gérin-Lajoie on behalf of the Montreal Council of Women, the aldermen had to reconsider. In 1926, a delegation organized by the Montreal Women’s Club vainly attempted to secure the right to vote for married women. The following year, the Ligue des femmes propriétaires de Montréal and the Comité du suffrage provincial in turn requested that the city charter be amended in order to allow married women owners the right to vote. 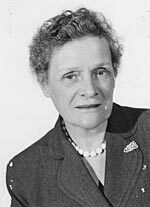 Idola Saint-Jean, president of the Alliance canadienne pour le vote des femmes du Québec (Canadian Alliance for Women’s Vote in Quebec), also supported that petition and later demanded the right to vote for all women. At the 1934 election, the right to vote was finally extended to married women owners and married women under the regime of separation as to property. In 1940, Québec women who had voted in federal elections since 1919 were also entitled to vote at the provincial level. That same year, three women entered the political arena. Katleen Fisher, active in several associations, became the first woman to sit in city council. She was re-elected on several occasions, always in Class A. 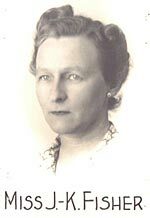 Between 1940 and 1942, Elizabeth Monk also sat in council as the Citizens Committee delegate. Well known in the city’s philanthropic circles, Mrs. Lucie Bruneau was called upon to replace a councillor in Class A on December 27, 1940. 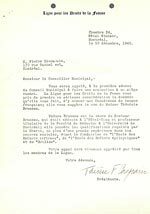 In 1957, Mrs Eustache Letellier de Saint-Just, the only female council member that year, was elected deputy mayor. As a delegate to the Civic improvement League, she had been a councillor since 1954 and remained in office until 1960, when Class C was abolished. Between 1940 and 1960, six women were elected councillors. However, it took fifteen years, namely in 1974, before other women entered the local scene.